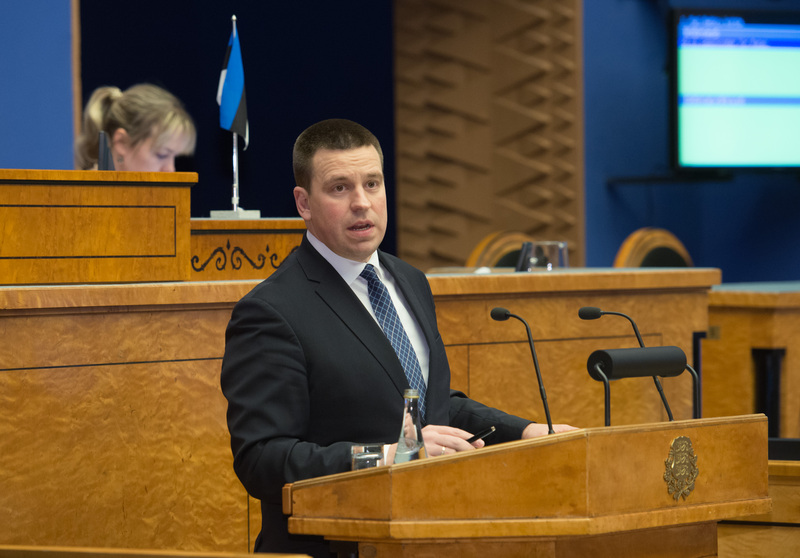 Prime Minister Jüri Ratas replied to the interpellation concerning creation of equal opportunities for children in acquiring education in Estonia (No. 369), submitted by members of the Riigikogu Maris Lauri, Urve Tiidus, Arto Aas, Aivar Sõerd, Heidy Purga, Madis Milling, Urmas Kruuse, Keit Pentus-Rosimannus, Remo Holsmer, Jürgen Ligi, Ants Laaneots, Deniss Boroditš, Liina Kersna, Lauri Luik, Toomas Kivimägi, Jüri Jaanson and Hanno Pevkur on 19 June. The interpellators referred to the recent Estonian Human Development Report which pointed out that the dividing of Estonian society began at school. The interpellators wished to know what the Government’s attitude was towards the recommendation set out in the Estonian Human Development Report to establish uniform Estonian schools that would ensure equal opportunities for all Estonian children and young people in acquiring education and finding jobs later. Ratas said that the Government aimed to raise the level of Estonian language proficiency of students in schools where Russian was the language of instruction. More specifically, that graduates of basic school whose language of instruction is Russian would have a B2 level of proficiency in Estonian by the end of basic school. “This in turn means of course that this level would be C1 by the end of upper secondary school. Level B2 is an inevitable precondition for smoother transition to secondary education in Estonian and achieving C1 language proficiency by the end of upper secondary school,” Ratas said. He explained that C1 language proficiency was an important precondition for acquiring higher education in Estonian and competing on an equal footing in the Estonian labour market. The Prime Minister noted that, to achieve the aim, contributions were made to the training of teachers, the updating of the study materials and creating an environment supporting language training, for example, various language camps, extra-school activities at the level of both preschool and basic education, and schools were also supported with counselling. The supporting and developing of the language immersion programme is also continued. “Years of experience have proved its effectiveness and we can see that it is becoming more and more popular, also at the nursery level,” Ratas said. He confirmed that Estonian language instruction and instruction in Estonian was a clear priority of the Ministry of Education and Research. 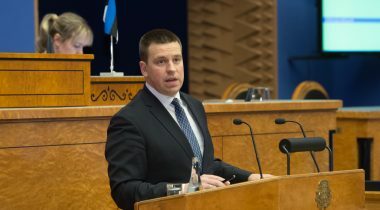 Ratas said that the multicultural school model was a good opportunity to develop the Estonian education system and reduce the educational gap. In the organisation of studies, this school takes into account also the quality criteria relating to cultural awareness and sensibility such as, for example, skilful integration of subject and language training in all subject classes, the skill of all school employees to manage intercultural dialogue, the cultural theoretical knowledge of the teachers and the management, and many other things, besides the national curriculum. Ratas explained that, in addition, already for two years, the Ministry of Education and Research had been working on a project including schools and nurseries that already had an experience in teaching in a multilingual and multicultural environment. At the end of this academic year, this model will be introduced also to other schools, and concrete recommendations and funding proposals to support students whose home language is different from their language of instruction will be developed. The Prime Minister also replied to the interpellation concerning a money laundering scheme related to Azerbaijan, banking supervision and “caviar diplomacy” (No. 370). The Minister of Education and Research Mailis Reps replied to the interpellation concerning the regional policy plans of the Ministry of Education and Research (No. 367) and the interpellation concerning Paide state upper secondary school (No. 368). Today Taavi Rõivas announced his resignation from the position of Vice-President of the Riigikogu. The President of the Riigikogu Eiki Nestor announced that, according to the procedure in force, the election of the Vice-Presidents of the Riigikogu would be held at the first sitting of the following working week which would be on 23 October. The sitting ended at 5.29 p.m.